iDoceo 5 is now available in the App Store! An awesome update packed with amazing features. Gradebook categories just got better! Grade Scanner 1.7 available in the appstore! iDoceo 4.10.13 available today with online Tests! 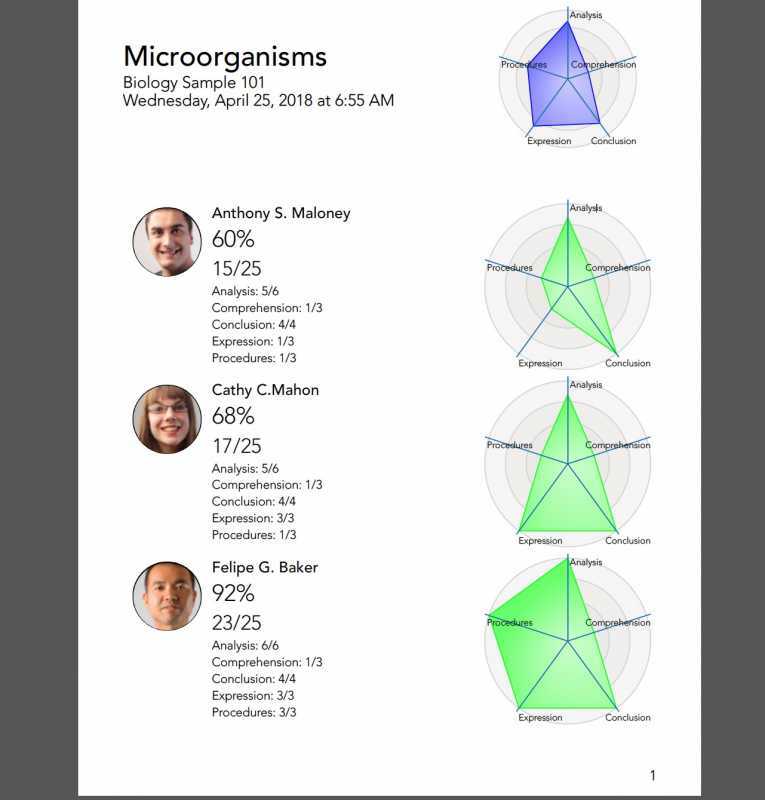 We’ve published today another amazing update with online Tests in iDoceo Connect. These are the main features and improvements . 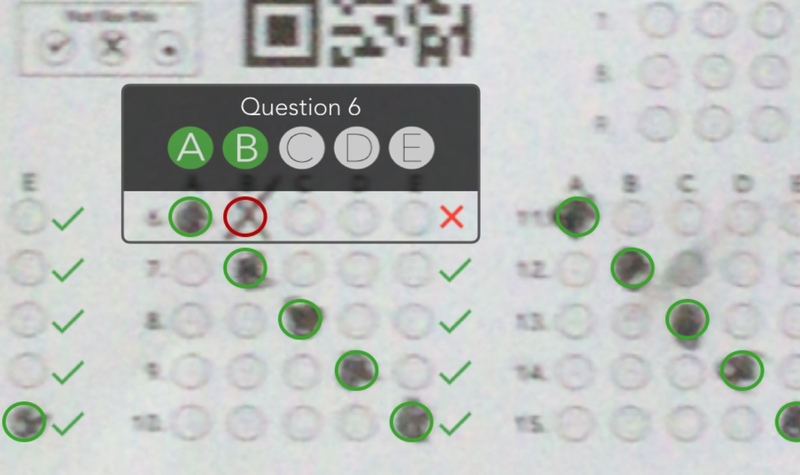 Multiple choice tests are now available! • Rubric edition shows quick conversion, if any. Grade Scanner 1.6 now available! 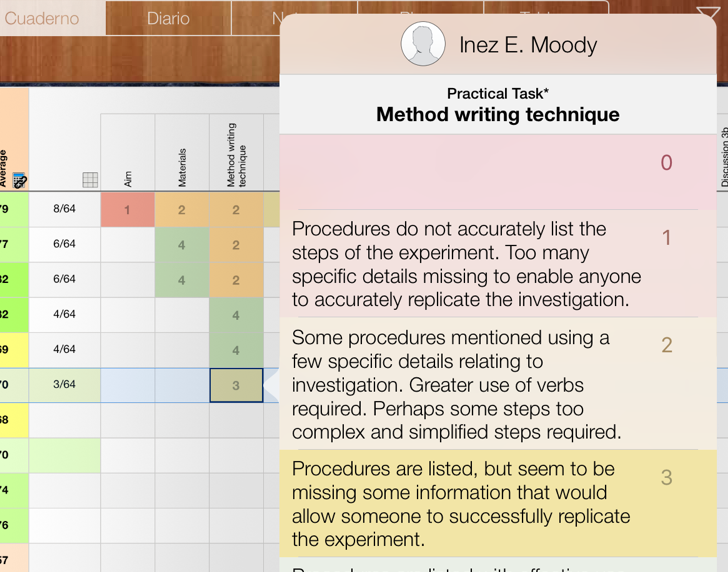 Our new version of iDoceo Grade Scanner is now available in the App Store. You can configure the resulting score with any value (i.e. show an exam out of 80 or 250) at will. Improved class statistics have been added to easily see questions with worse, better results, etc. – New setting to round percentage result. – Configure points earned per question. – New XLS export option, includes all answers and tags. 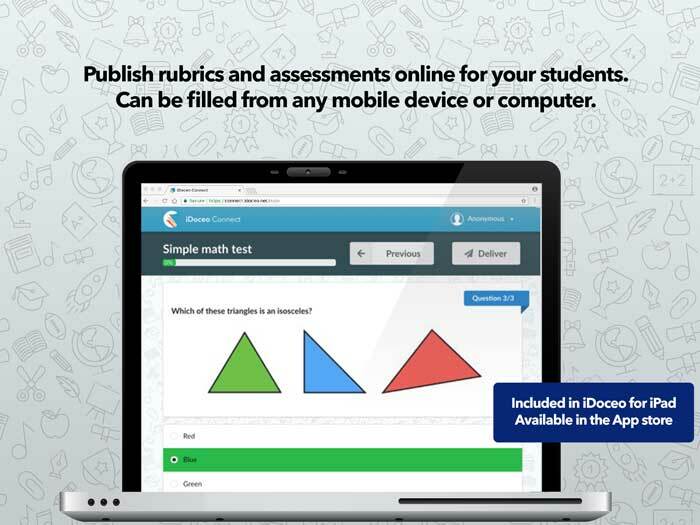 Grade Scanner is a powerful and easy to use app that grades bubble sheet assessments automatically. Create your classes in no time, configure the answers to your assessments and start scanning once your students have filled the bubble sheets. Grade Scanner will show your student’s score in real time. You may export your data to XLS,CSV, to iDoceo, sync with Google Classroom or review stats from the app. – Universal app, works on iPhone and iPad. Does not sync between devices. – You may change an assessment configuration on the fly without having to rescan sheets. – View the score for each student in real time, as you scan. Do not hesitate to contact us if you miss any feature! Attached below you will find the bubble sheets for 50 an 100 questions. 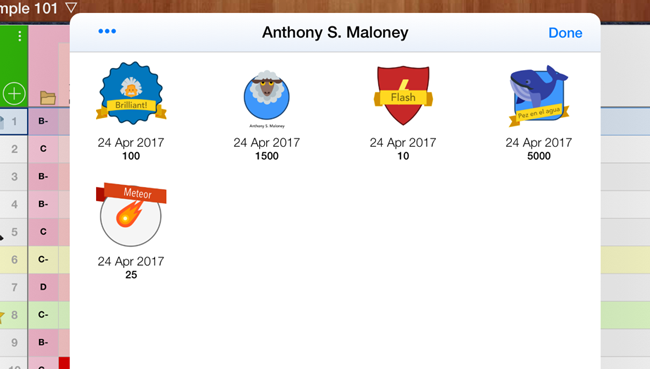 The next version of Classroom Badge Maker is now available in the App Store. – Badges can now be sent individually from the personal sheet with a tap on the student’s name. Another amazing update with tons of new features and refinements. New ‘Recent resources’ option to easily add recent attachments more than once. New ‘Audiologic’ option to attach iCloud audio recordings from the app.